Before Roman Danylo comes through Etown as part of his country-wide Just For Laughs Comedy Tour, the Canadian TV comic graciously answered some questions for one of his not-so-secret admirers...me! Edmonton this Friday (Nov. 16). I'VE been to enough stand-up shows to know that there's a sense of camaraderie between the comics that brave the stage. Sure, they might nip at each other from time to time, but there seems to be a genuine sense of support amongst them. That could explain why when I asked award-winning comedian Roman Danylo to name a current comic he thinks is overrated, he refrained. I'm sure Danylo had a suggestion or two, but I've come to the conclusion that there's perhaps an unwritten rule amongst his colleagues that advises you stay clear of peer ridicule. Instead, Danylo eagerly endorsed an underrated comic, in Miami stand-up Brian Regan. 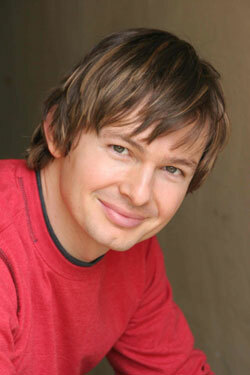 "He, to me, is clearly the best stand-up comedian out there," Danylo insisted. "I can watch his stuff over and over again on YouTube." 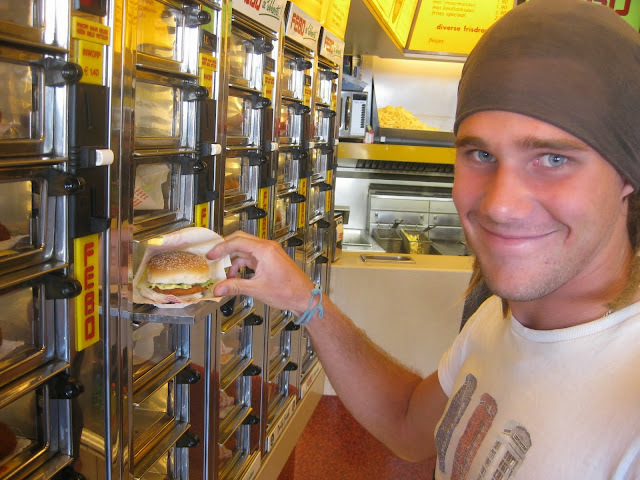 And so that's what I did, because Danylo's stamp of approval was simply enough to warrant a peek. You see, I've been a big fan of this Calgary son since his days headlining CTV's sketch series Comedy Inc. (2002-07), which earned him national attention and even a pair of Gemini nods. But that coast to coast recognition is a far cry from Danylo's humble beginnings, cheering up locals in Calgary clubs back in the late-'80s. The young hopeful uprooted to Vancouver during 1992 and spent years gaining a reputation as a skilled improvisor and actor, knocking back bit parts in TV shows (Sliders, The Outer Limits) and films (Duets, Free Willy 3). But his best work would remain north of the border, appearing in Corner Gas, Comics, Made in Canada, Slightly Bent, the Just For Laughs Improv Championship, and his own Comedy Now special. The sought-after comedian returned to the small screen earlier this month as the "conductor of chaos" on YTV's new comedy series The Funny Pit (Corus Entertainment). Danylo leads a pack of fellow stand-ups, including Ryan Steele and Amy Goodmurphy, in the self-helmed, half-hour program, composed of hidden camera & video gags, pranks, bloopers, and much more. Anyone is welcome to submit their own funny clips here. 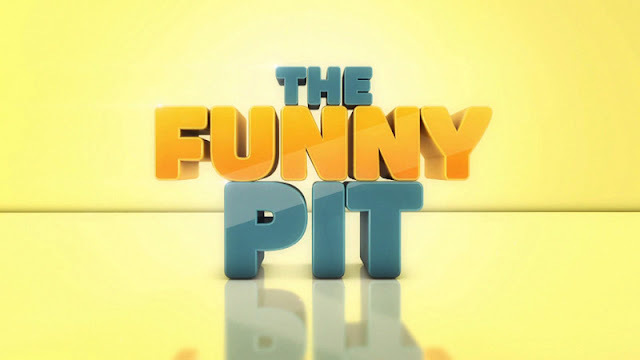 The Funny Pit is produced by Thunderbird Films, in association with Great Pacific Television. "I showed up at one event where they had no lighting whatsoever, so they just turned up the heat lamp from the buffet..."
In addition to his varied television and movie credentials, Danylo continued building on his live set too, taking to the stage at both Montreal's Just For Laughs Festival and Aspen, Colorado's HBO Comedy Festival. Not to mention harmonizing his routines in front of countless club patrons across the continent. In fact, that's exactly how Danylo is spending this November, criss-crossing the nation for his Just For Laughs Comedy Tour. Joining him on the 18-city venture is The Improvisors, a coalition of some of Canada's brightest improv performers. 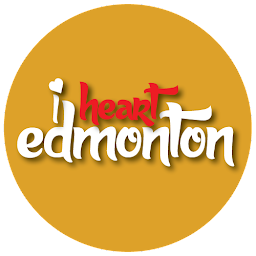 They'll appear here in Edmonton on Friday, November 16 (in Red Deer on the 18th) at the Jubilee Auditorium (7:30PM). Now, on to the Q&A...let's spend a few minutes with Roman Danylo. Check out Danylo's newest TV venture 'The Funny Pit,' Tuesdays on YTV. I♥E/ When was it that you realized that you were funny enough to make a living out of it? RD/ Well, I started doing stuff pretty quickly out of high school, doing improv. I think when I was like 18, I got a job working at the Comedy Club in Calgary, and we were the in-house improv group. At that time I think I was making something like $250 a week, and at that time--for an 18-year-old--that was a pretty good job. I was just doing 20, 30 minutes--with a group of two other people--of improv every night. So that was like, 'Hey, great, I don't need to have any other job,' and I quit my job that I had at the time. I haven't had a job, I realize now at 42, in 24 years, so I have no skills whatsoever. So, unfortunately, I'm stuck with comedy no matter what. I♥E/ If you weren't doing comedy, what do you think you might be doing instead? RD/ I've never really had a job. My wife has changed jobs once our entire relationship, and she had to do the resume and the cover letter, and I was fascinated by that entire process. I keep picturing myself working in some other job environment, and I thought that would be kind of a fun idea, the idea of getting up and having something to do every day. I kind've like that sorta structure, but I'm sure I would be godsmacked by it. But, I like real estate, I guess. I'm sorta fascinated by that. I watch a lot of HGTV, and I would love to have those skills...those guys that can just renovate a room and know what they're doing. I don't know where they pick up that knowledge, but that would be awesome if I had those abilities. I♥E/ What was the worst experience you had doing a stand-up show? RD/ There's been so many! 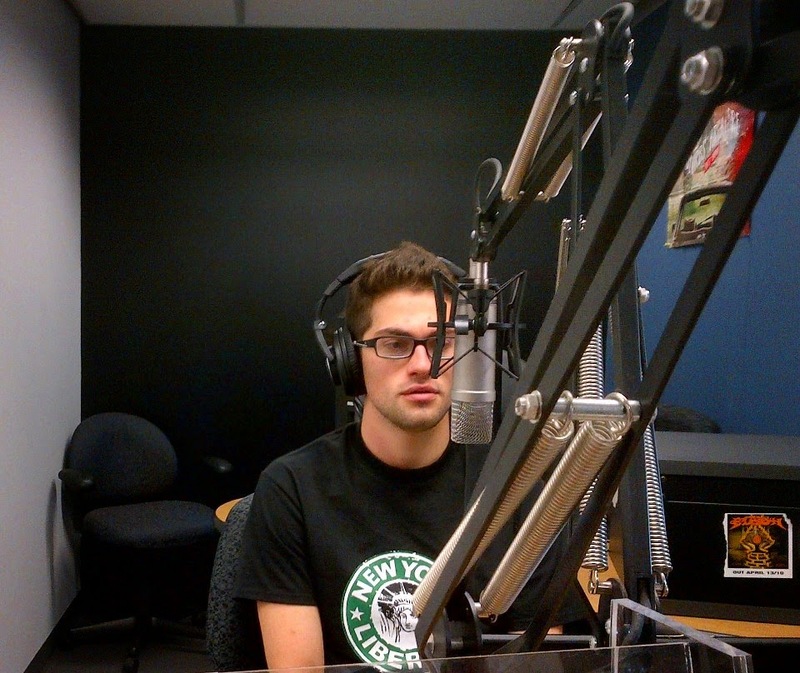 It's actually really sort of a fun topic to ask comedians their Hell's gate stories. I got so many. I don't know if I could just give you one. I once had to follow a group called The Extreme Bikini Dance Team...that was hard. I showed up at one event where they had no lighting whatsoever, so they just turned up the heat lamp from the buffet...that was one of my favourites. I do a lot of stuff where I kinda crawl into the crowd and get people involved, and I remember one time we were at a really expensive benefit, they were very rich people, and the tables were kind've a little too tight. The first thing I did as soon as I stepped out to kind've grab somebody was I knocked over somebody's red wine. I thought that was a pretty bad experience. I♥E/ Can you tell me what comic you think is overrated right now, and who do you think is under-appreciated? RD/ I don't know if I'd risk saying that! But, let's see, underrated? There's still some people in the public who don't know this guy so well, is your Brian Regan's. 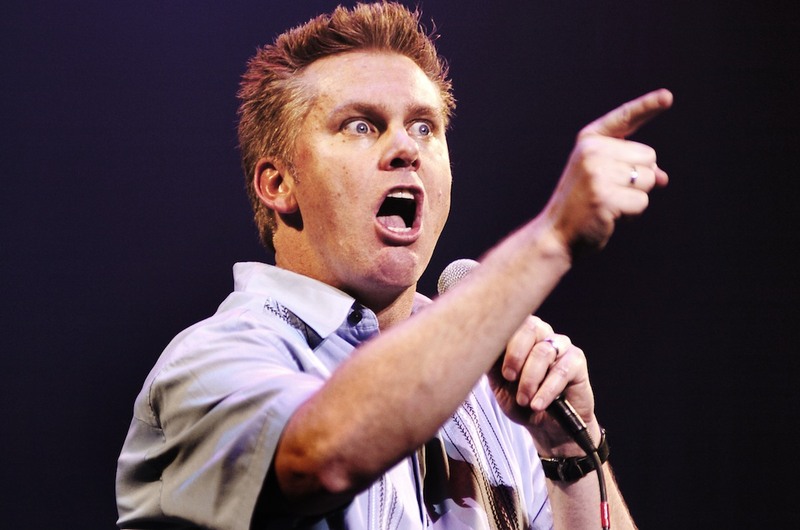 Do you know who Brian Regan is? I♥E/ I don't, is he Canadian? RD/ No, not Canadian. See, there you go. He, to me, is clearly the best stand-up comedian out there. I can watch his stuff over and over again on YouTube. He's just super extremely funny, clean, and somehow it just seems super funny and original. Just really great stuff. I♥E/ Ok. We'll skip the overrated portion! Next question: If you could spend a full day with anyone in the world, dead or alive, who would you choose and why? RD/ I would say William Shatner. I'm a huge fan of William Shatner! I think that guy's just crazy interesting. He's had such an amazing, multi-layered career. From movies to various TV shows...Boston Legal, I love that...even if you look into his albums; the one he did with Ben Folds was actually an amazing album, there's pretty good music on it. The things he's said yes to, like the Priceline.com commercials, whatever, they're the kind've things that someone might have the instinct to not say yes to that. He's able to say yes to everything and those things that are unlikely yes's turn into really big pop culture hits. I admire his approach to the world. RD/ Fearless. It's a Peter Weir film with Rosie Perez, believe it or not. It's an amazing movie. I♥E/ Best concert you ever went to? album Roman Danylo ever bought. RD/ I don't go to a ton of concerts. Ok, I'll give you this. Lee Aaron?! 'Metal queen,' Lee Aaron?! We were walking by some place in Vancouver and we saw Lee Aaron playing in like a pub, to a very small crowd, and she was doing jazz hits. That's what she does now. It was pretty fun. I don't like large crowds of people, so it was a pretty fun environment...and to see Lee Aaron, 'metal queen', singing jazz hits, was pretty cool. I♥E/ Worst Christmas gift you ever received? RD/ I really wanted a Lite-Brite set when I was a kid, and so I told my mom I really want a Lite-Brite set. So she went out, and she did her best, but I guess she didn't read the box. All she got me was a box of Lite-Brite replacement pegs. Those little coloured plastic things, a bunch of orange ones and red ones, that I guess if I wanted to could've put up against a light bulb. I♥E/ First and/or last album you bought? RD/ I do remember the first one. 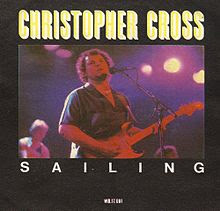 It was Christopher Cross, he's the guy who did "Sailing takes me away...and ride like the wind." That would be the first one for sure, on tape, back in the day. [And the last one was] Royalty Free Dance Music. I bought that on iTunes. I♥E/ Favourite celebrity you like to impersonate? RD/ My favourite one that I ever did over the years of doing sketch was Roger Lodge, the host of the TV show that used to be on, called Blind Date. Because he was kind've a weird, nerdy-looking guy, always wearing these little sweater vests, and he sorta sounded like Casey Kasem from back in the day. And plus I was almost certain nobody else really did him. Nice blog!! I am genuinely amazed by your work. You actually did a marvelous work. 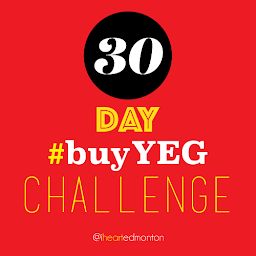 I want help with some homes that I could purchase in the vicinity of Edmonton.Please help me with your required recommendations.